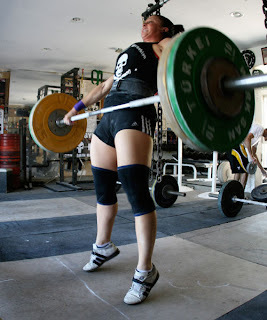 Checkout this article from Iron Maven a great blog full of useful information on Olympic weightlifting. Worked on butterfly pull ups today. They are looking a lot more consistent now so that’s a plus. Checkout this vid on the Butterfly Kip from CrossFit Evolution. Sweet, thanks i’ll check it out. fyi, aimee is so freaking hot!this just in….. strong = hot! !